"A common mistake many people make when they are starting out is to go to a store and buy the most comfortable sofa, which becomes the elephant in the room after it's delivered. If it's too long or deep, all the proportions of the room will be long." 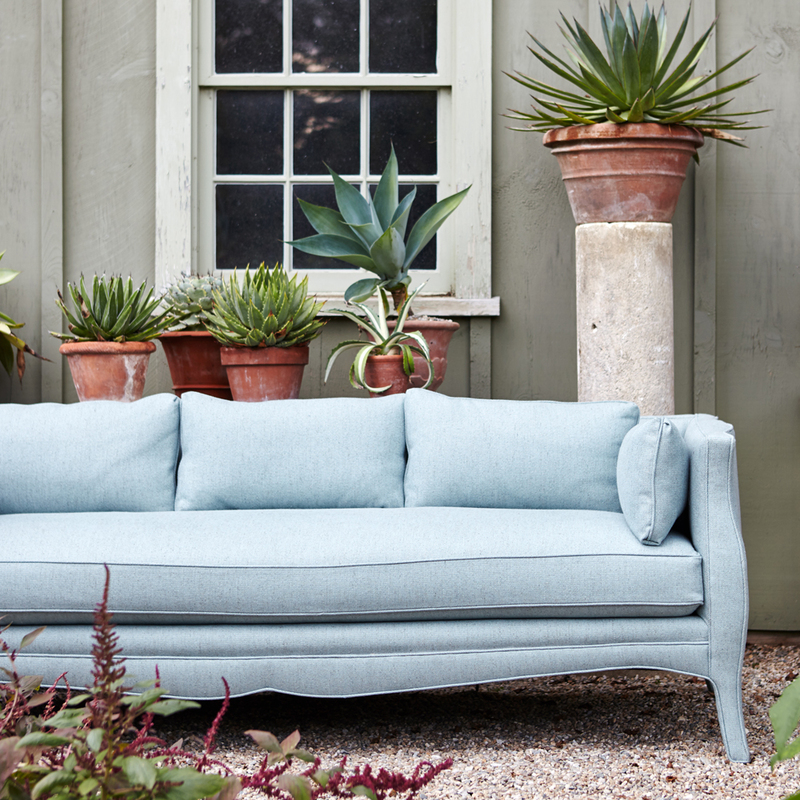 This piece, with its pretty lines and long, low form, is so tempting to sink into and when you do you’ll appreciate the irresistible softness, deep plush seat and perfectly sized plump cushions that envelop you. Ideal entertaining an intimate crowd, this sofa is well suited to velvet, but would look fabulous in any material it is dressed in. Minimum 14 yards COM required (not available in leather or COL).